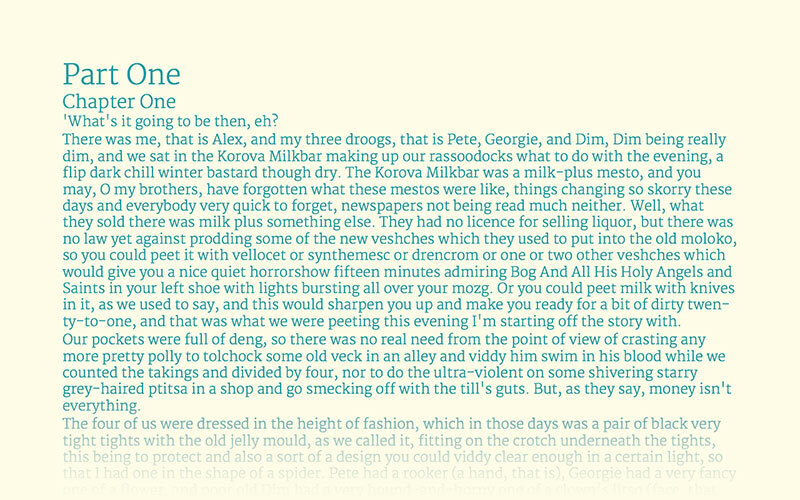 For demonstration purposes, I’m going to use an un-styled page from A Clockwork Orange by Anthony Burgess. 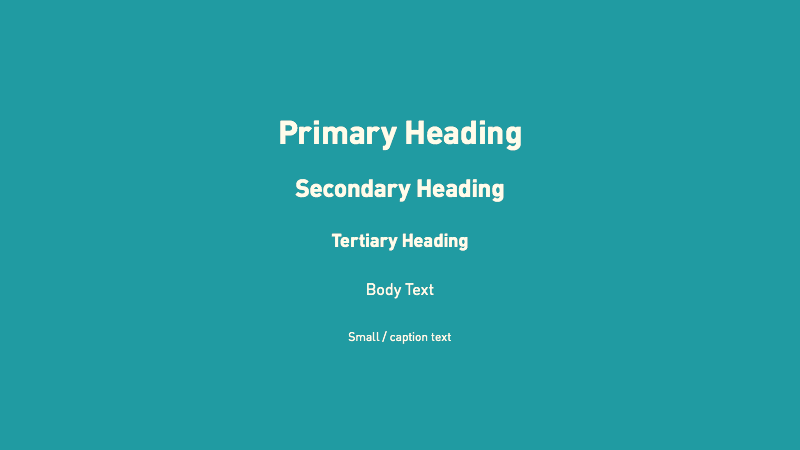 Part One (primary heading) and Chapter One (secondary heading) have increased in size to inform the reader that they are headings rather than body text. 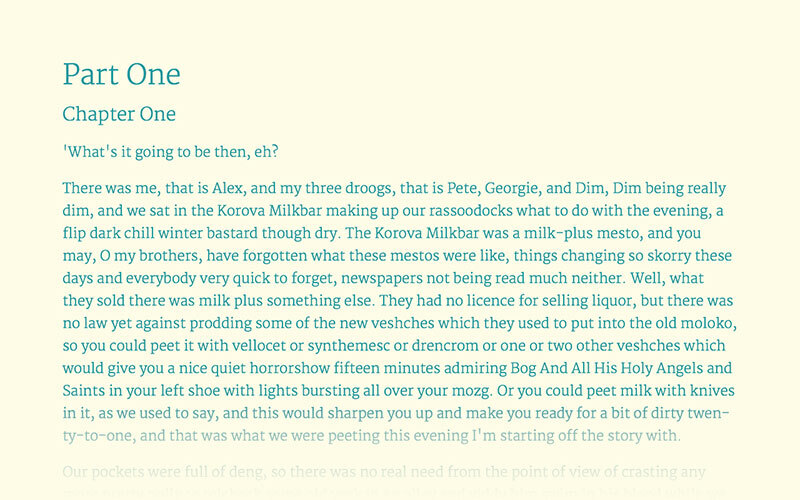 Paragraph spacing has been introduced, making each paragraph distinct. Tip: You should be able to fit a sideways “h” between the lines without it hitting the tops of d/b/t’s (ascenders) or the bottoms of p/q/y’s (descenders). 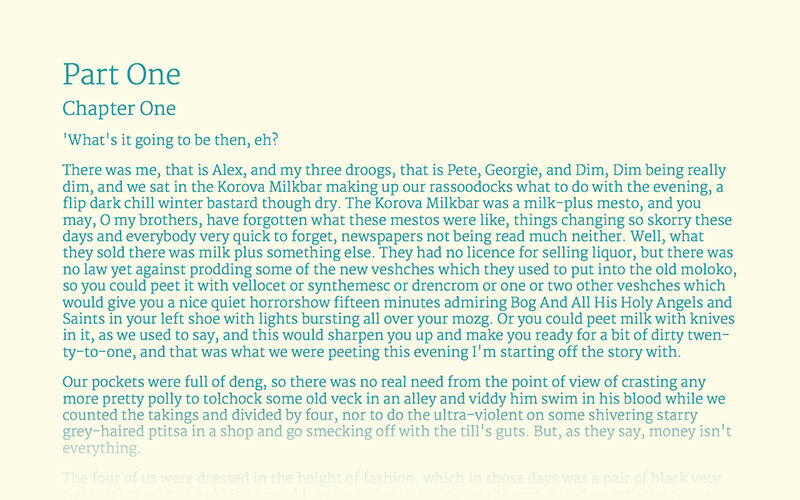 The line height has been increased, so lines are easy to scan. 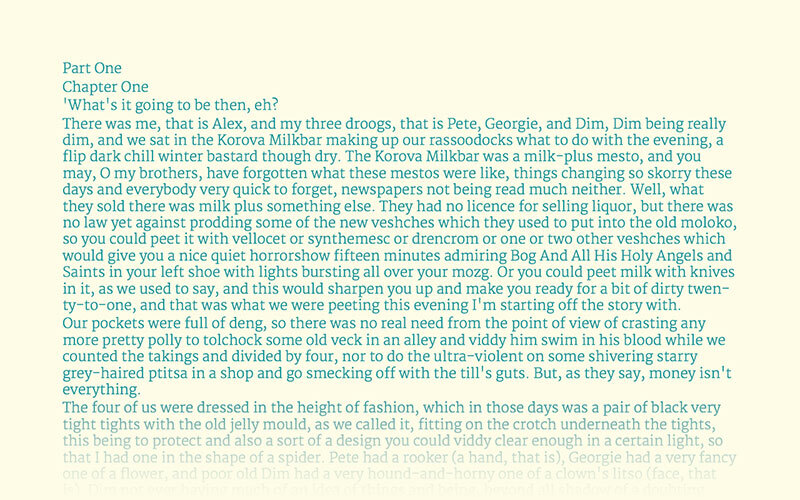 Tip: A line of upper- and lower-case letters and numbers is 62 characters, a simple way of finding a comfortable measure. 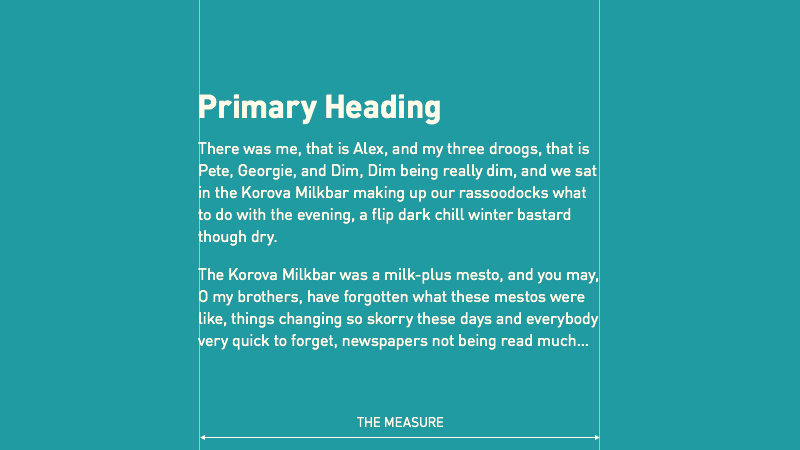 The measure has been made narrower so that each line is a comfortable reading length. 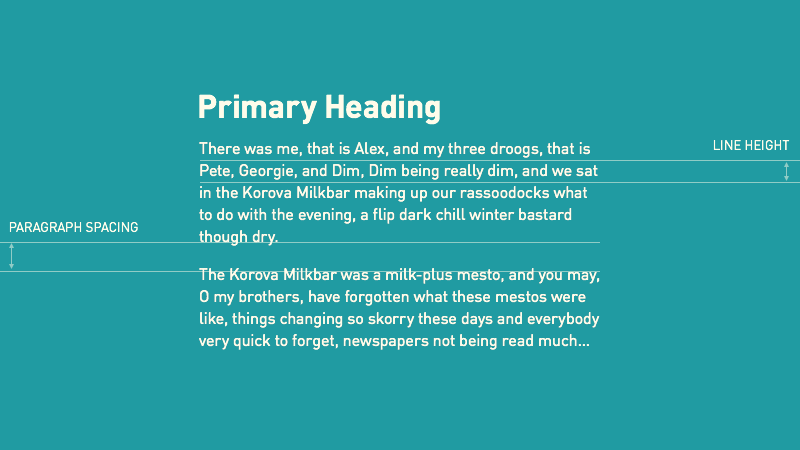 Setting type is not an inaccessible skill —it’s possible to follow a few simple principles to make every bit of content an easy read. 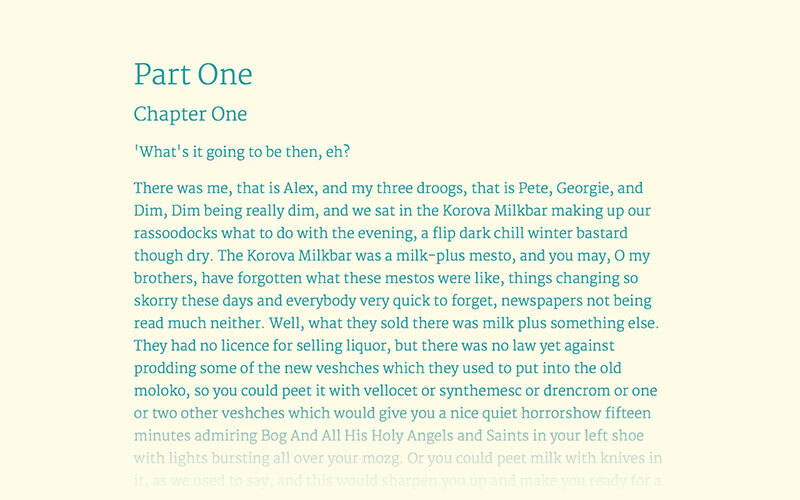 Make this part of your content creation workflow and your readers will be in for a treat.